Why Work With AdWork Media? AdWork Media is an award-wining, innovative global performance marketing network featuring numerous publisher tools, including Content Lockers and the first ever Product Locker℠! Our 2,500+ incent/non-incent offer base is comprised of top converting campaigns across a variety of niches. AdWork Media's platform and publisher tools, such as our Content Lockers & Link Lockers, are built on an in-house proprietary platform that allows us to continuously improve the publisher experience by frequently adding more features and tools for our users. Our inventory of 2,500+ top converting affiliate campaigns features a vast selection of U.S. & International email submits, surveys, downloads, trials, mobile CPIs, & mobile PIN/SMS campaigns that can monetize traffic in nearly any country. If you have traffic, we will monetize it! Built-in Monthly Performance Bonuses make the earnings even sweeter! Additionally, our Knowledgeable Support Team is available 7 days per week to assist you with technical/integration support, campaign optimization, and general account support. We are happy to help in any way we can and will go above-and-beyond for our publishers to ensure the best level of service. 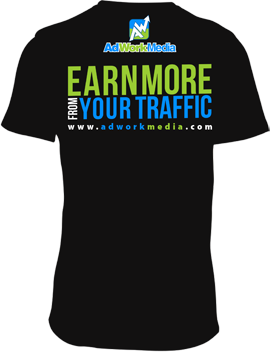 Increase Your Earnings & Join AdWork Media! 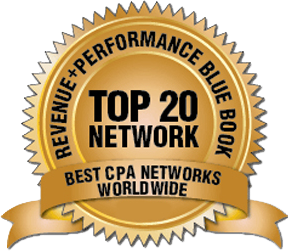 Truly maximize your traffic's earnings with our unique publisher tools, top converting campaigns, and knowledgeable support staff. Access the industry's top campaigns and expand your network's global reach with our vast selection of US & international offers. Contact us so we can work together to develop a Performance Marketing plan tailored to your product or service. Tap into our network of over 50,000 quality publishers to promote your campaigns.